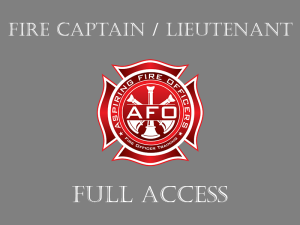 Our members receive 4 months of unlimited access to ALL content within the Fire Department In-Basket section including two videos; “Understanding Raters” and “In-Basket Exercises”. Members learn how fire department In-Basket exercises are scored and what to do to maximize the points they earn. Learn how to review each In-Basket scenario, how to prioritize it correctly, and how to manage it correctly and completely. Once you have learned our system you will be able to complete the In-Basket exercise and handle each item, not leaving any points on the table. 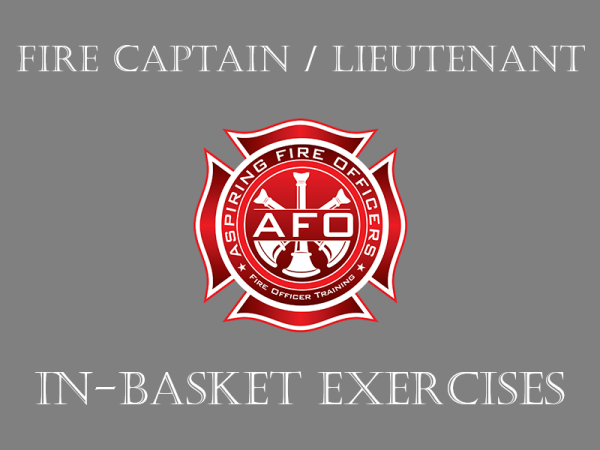 Once our members have viewed our unique, custom videos that show how to successfully manage Fire Department In-Basket exercises, they will be able to hone their skills with 5 high-level In-Baskets that we have developed. Each exercise has 10 items (total of 50 issues to manage) that will challenge their knowledge of policies and procedures, general orders and departmental practices. 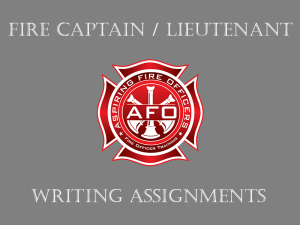 Each Fire Department In-Basket exercise begins with an information page that describes where you are assigned as the officer for the day, the time and day (if applicable), and any other pertinent information related to the issues. From there you turn the page and begin the In-Basket exercise. You will be challenged with 10 different issues that you will be expected to put into the proper order of importance (this is taught in our Fire Department “In-Basket” video). Once this has been accomplished you are expected to explain how you will manage each particular issue. Most issues have multiple layers associated with them and each of these layers has a point value associated with it. Our members are successful because they can recognize the complexity and cover all of dimensions associated with each issue. Following each Fire Department In-Basket exercise is an answer key. We encourage you to complete each In-Basket exercise before reviewing the answer key. We believe this will provide the best learning experience for our members. Once you have prioritized each item in the In-Basket, compare your work with the answer key that we have provided. We are confident that our finished product would score at the top of any Fire Department In-Basket assessment center exercise. As an added value, members will receive access to dozens of available free downloads.